This was the last Iron Shrapnel Man. The bowl won. I dropped out and ran off to Africa, ending the first chapter of my wildly checkered college career. Eventually Rice gave me a degree, so all's well that ends well. 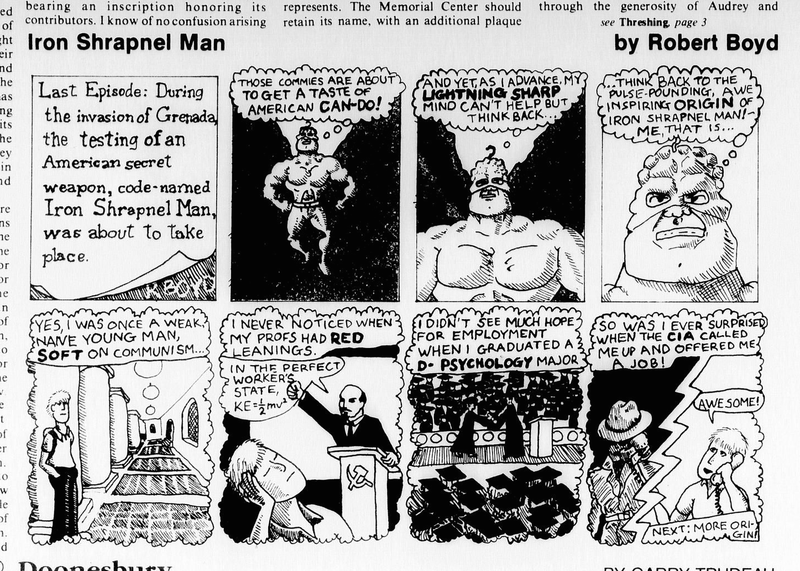 As for Iron Shrapnel Man, these six strips demonstrate quite well why I never became a professional cartoonist.